Do you like trains? Do you like history? Do you like beautiful scenery? Do you like the movies? 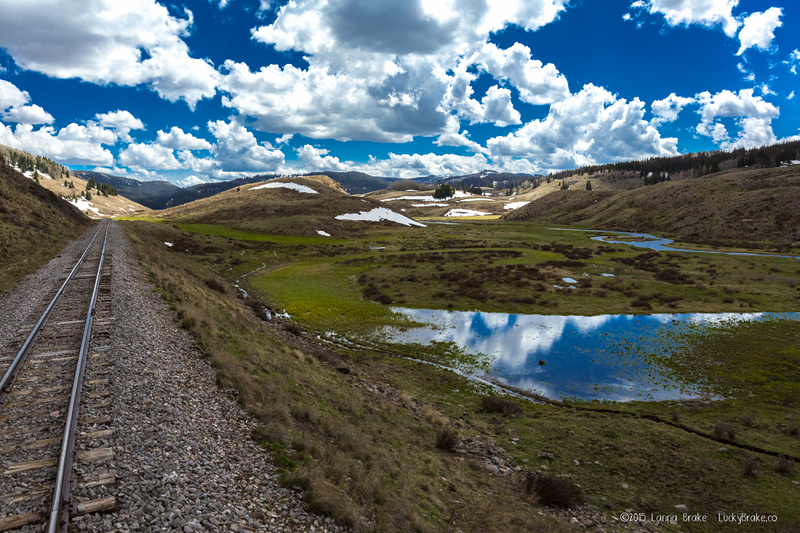 If you answered yes to any of these you’ll enjoy the Cumbres & Toltec Scenic Railroad. If you answered yes to more than one of these questions, you love this scenic railroad. Ray Martinez, conductor of the Cumbres & Toltec Railroad. 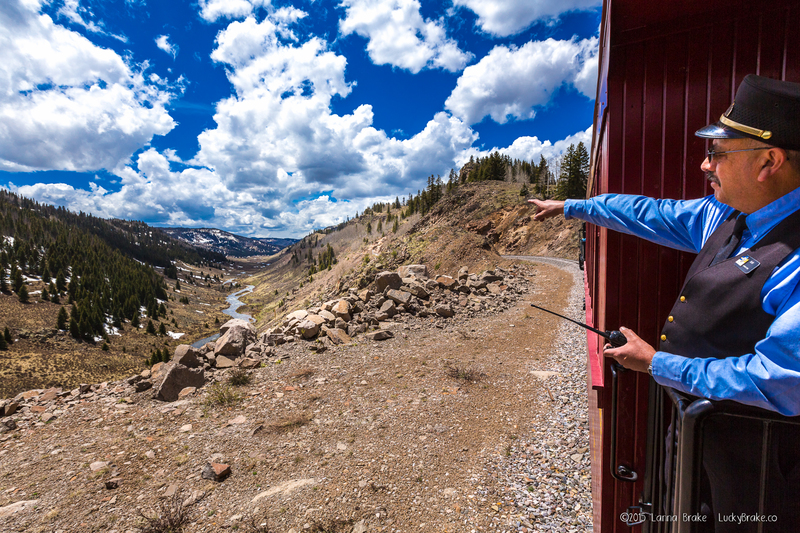 The Cumbres & Toltec really is the most authentic scenic railroad you’ll find in the United States and it is just 4 hours from Denver. Here are just a few reasons why I think this train is so interesting. It is the longest (in terms of mileage) scenic railroad running in the United States. It runs between Antonito, Colorado and Chama, New Mexico; a 64 miles stretch of original railroad. During the trip you’ll weave in and out of Colorado and New Mexico 11 times. On the full trip, the train stops three times for water; it is a steam train after all, and water is vital to keeping it chugging along. Recognize this sign ? 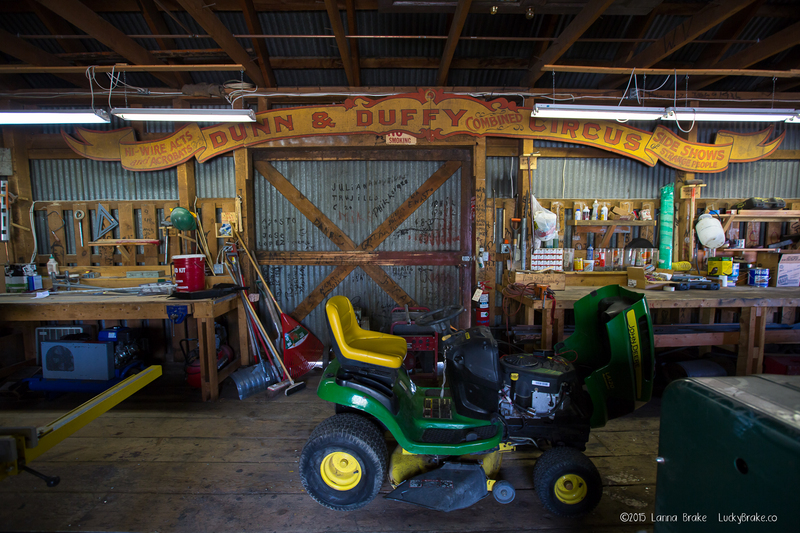 Inside the Friends’ shop at the Cumbres & Toltec Railroad you’ll find an array of movie mementos. The train crosses the bridge at the Cascades along the Cumbres & Toltec Scenic Railroad route. 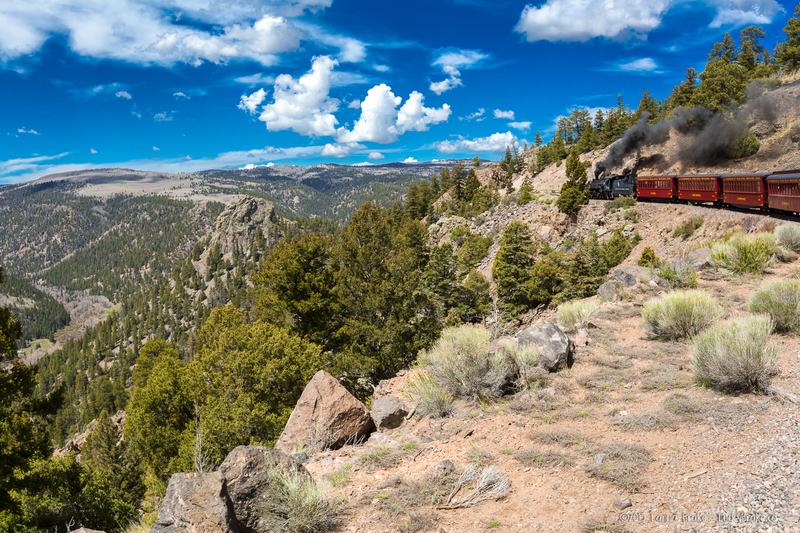 The train is owned by the State of Colorado and the State of New Mexico, meaning that if you are a resident of either state, you are part owner of the Cumbres & Toltec Scenic Railroad. 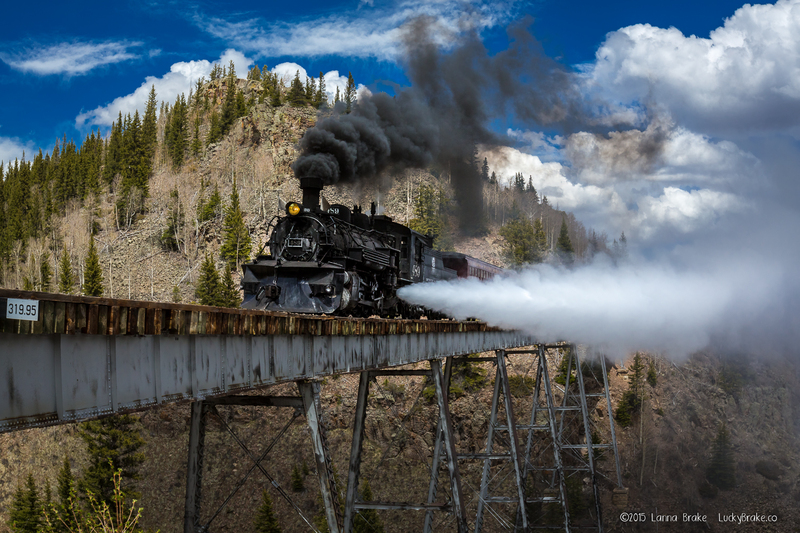 The Friend of the Cumbres & Toltec Scenic Railroad are a vital reason it continues to run today. When the railroad closed down in 1965, the Rio Grande wanted to tear up the entire line, but the Friends were formed and came to the rescue and by 1970, the train was up and running as a scenic railroad. Today there are 2500 members of the Friends and they come from all over the world. They still play a vital part in keeping the train running by raising money and helping to restore rail cars and historic buildings along the line. The Friends also provide knowledgeable docents on every train ride. This volunteer is a wealth of information so take advantage of their knowledge and ask lots of questions. 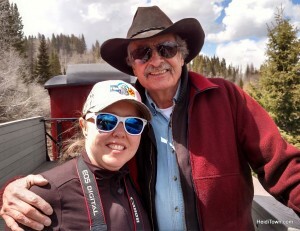 Bob Ross and I aboard the Cumbres & Toltec Scenic Railroad. Mr. Ross is the Chairman of the Board of the Friends of the railroad & he was the docent on our trip. He’s been riding this train since the 1950s. The dining car aboard the Cumbres & Toltec Scenic Railroad. I experienced the ride from Antonito to Chama and the scenery is spectacularly dynamic. You start out in the flat prairies where it’s not uncommon to see herds of antelope running away from or alongside the train. Slowly, the train begins to climb and the scene changes. The scrub oak becomes aspens and pine trees and the air smells sweet and fresh. As we pulled away from the station in Antonito it was as if we were rolling away from modern day life and rolling into history. The view from the Antonito, Colorado side. On the Cumbres & Toltec Scenic Railroad. 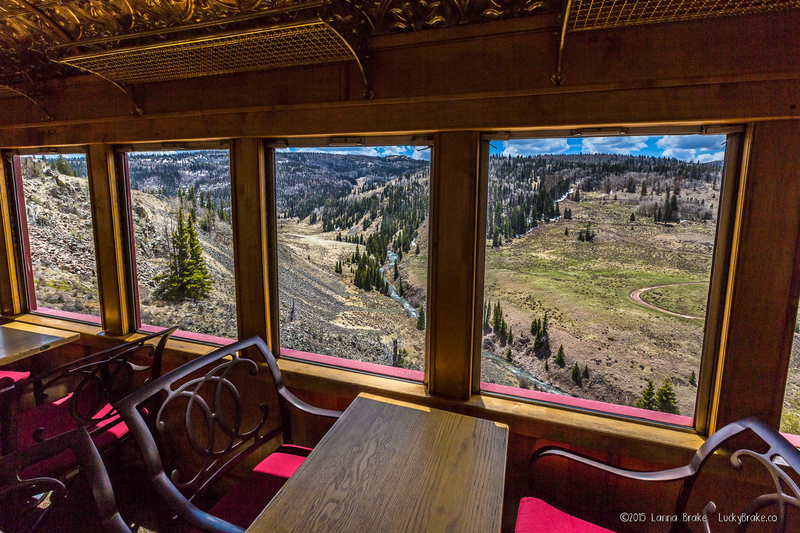 There are six different types of train rides to choose from on the Cumbres & Toltec. Click here to see schedule and fares. My friend and professional photographer, Alanna Brake, came along on this trip and was able to capture the experience in beautiful photographs. Here are a few more of her amazing captures. 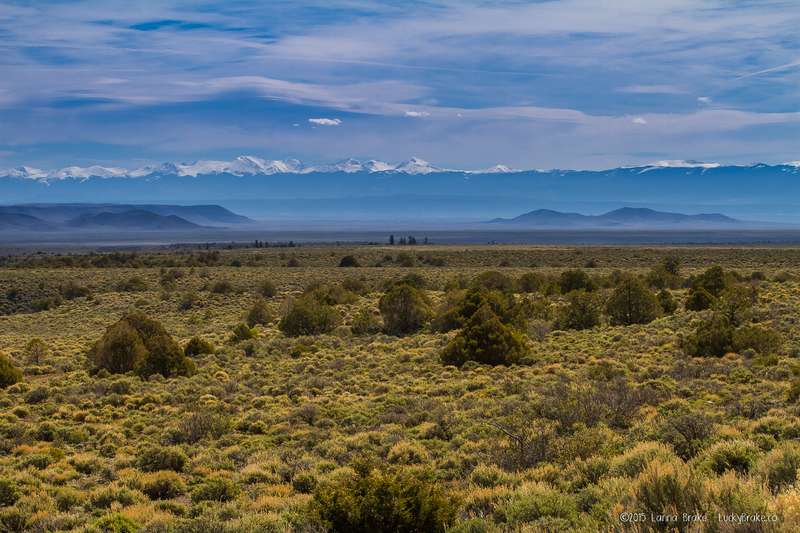 The view from the caboose on the Cumbres &Toltec Railroad in early spring. Spectacular scenery unfolds around every corner. Aboard the Cumbres & Toltec Scenic Railroad. 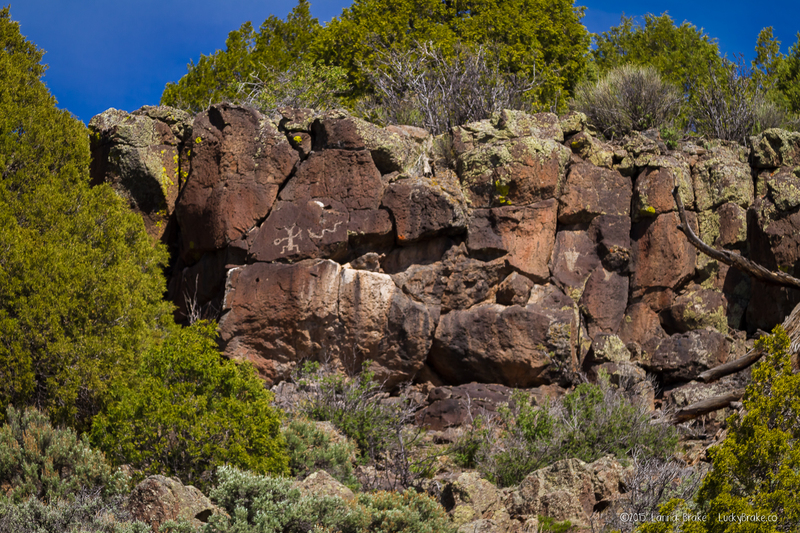 You have to look closely to spot some of the neat stuff you’ll see while riding the Cumbres & Toltec Scenic Railroad. Thank you to the Cumbres & Toltec Scenic Railroad for hosting us on this trip. Would that not be the state of New Mexico. Not Mexico? Yes, yes it would. Thanks! It’s been corrected. Nice article and beautiful photos. Bob Ross, shown in one of the photos, was my team leader 10 years ago during my first work session for the railroad’s volunteer group, the Friends of the Cumbers & Toltec Scenic Railroad. Nice guy and a dedicated volunteer. Thanks for stopping by HeidiTown, Paul! Somehow I missed this comment earlier. I thoroughly enjoyed spending time with Bob. Such a wealth of information about the train. This is a wonderful article and completely describes the historic train ride. We also enjoyed Bob Ross’s commentary. My husband is a retired train engineer and was very impressed with the great skill of the engineer, Jeff.